Welcome to Day 2 of Satori’s Blogiversary Event! I was thrilled when Valerie of Greyson Design stepped up to partake in the celebration. 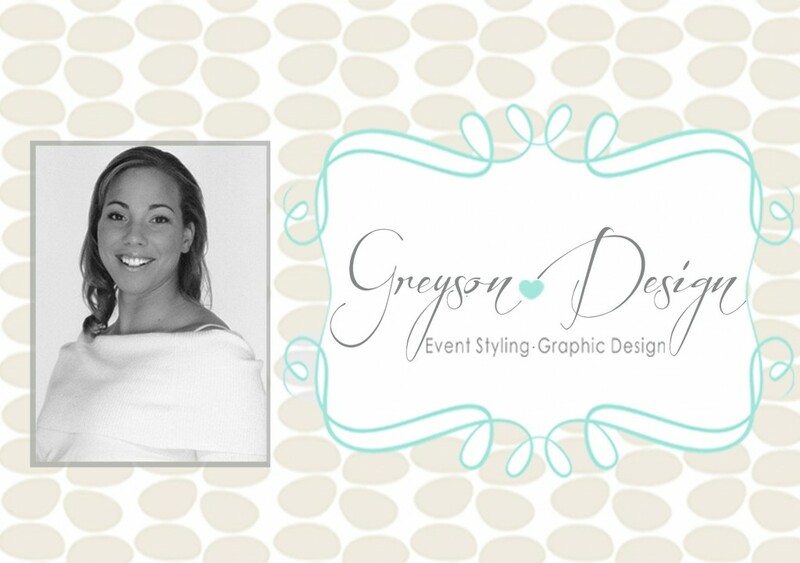 Greyson Design specializes in graphic design, printables, custom cards and paper goods. Valerie has kindly offered a $25 Etsy shop credit good towards custom orders, printables or anything your little heart desires. 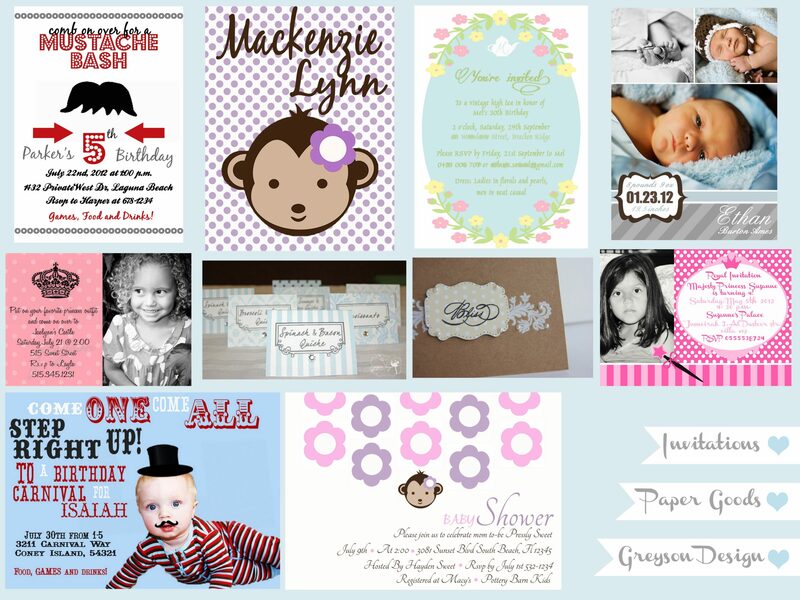 I just love the vintage carnival invitation and the birth announcements are absolutely adorable! You can check out Greyson Design’s full line up on Etsy and become inspired by visiting Valerie’s Blog. P.S. If you haven’t checked out Day 1 of Satori’s Blogiversary Giveaway, sponsored by Rekha of Divine NY, I invite you to head over there now! I love all the designs, but the banner is probably my favorite. The vintage carnival collection is so adorable! Mod Monkey Labels are so cute!! I do love Vintage Carnival but Mustache Bash is hilarious!! Oops, I forgot to say Happy Anniversary. It’s only been a year!!! You could give lessons on how to have a beautiful and successul blog in one year! Thank you, Carol. It has been a lot of work, but I’ve enjoyed every minute of it. Can’t wait to see what the next year brings. I’m glad to have found your blog as well! Who can only pick one! I like this (http://www.etsy.com/listing/77561556/printable-modern-elephant-nursery-wall) and would love to get some custom work done by her! The mod monkey is supper cute! I love the printable nursery wall art. I really like the printable labels – the Damask, and the Vintage Carnival options!